This blog-post is intended to provide the information required for the ALS practitioner to complete their theory component for the 2018 CPG update with regard to TXA. To access CPD points for this activity (blog post) please see the information box at the bottom. This resource may also be used to inform any interested party in the physiology, pharmacology and use of Tranexamic Acid in the emergency setting. The coagulation cascade is something we need to have a basic understanding of if we are to understand where TXA works, and how it works. The focus of the information presented here will be around the trauma patient, but the information presented can be extrapolated to any patient with major bleeding, and activation of the clotting and fibrinolysis cascade. The first thing we need to understand, is that where there is bleeding (as a result of trauma, or damage to vessels, vessel rupture), there is clotting. 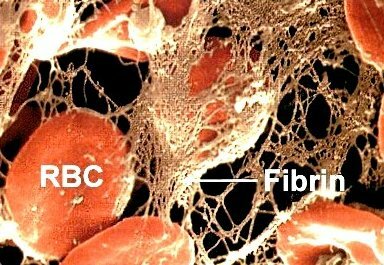 Where there is clotting, there is an internal process of fibrinolysis (break down of clots). The body is continuously aiming to achieve an environment that is in homeostasis, or balance. When a clot is formed, it puts distal tissue at risk, and so it must be broken down eventually. Platelets can be thought of as sentries floating around the body, alerting the system if there is a problem noted. Below is an image of the triggers to platelets, and the effects when the platelet receptors are activated. Mediators and Calcium are released, resulting in more platelets joining the clot, this activates more platelets, and results in the positive feedback mechanism that is the clotting cascade. Local stimulation of the clotting factors occurs and tissue factors are released. All clots will need to be broken down again with time, as soon as there is local activation of the clotting factor, there is also local fibrinolysis. This is a safety mechanism to prevent damage to the tissues distal to the injury in the vessel, and assists with healing. This is helpful with small injuries to the vessels, however, in patients who have a systemic activation of clotting due to massive or severe trauma, the activation of systemic fibrinolysis can increase the threat to life. Where there is massive clotting, there is massive fibrinolysis, and this is counter productive in the patient who is bleeding to death. Plasmin is an enzyme that destroys the fibrin mesh, this breaks down the clot into smaller fragments which are then circulated through the body and broken down further in other areas of the body (the liver and the kidneys). The problem is that when this happens on a mass scale, there is a problem in that clotting and then bleeding on a mass scale also occur resulting in consumption of the coagulation factors, and with increased bleeding, this means the patient cannot clot and maintain a clot. This is further discussed below. This brings us to the patient who presents with a life threatening bleed. If the patient has possible raised intracranial pressure, the recipe above is slightly different and will be discussed under the guideline update for the patient with raised intracranial pressure. What we do know, is that in the patient with massive blood loss, when we add tranexamic acid to the care bundle above, early in the patient treatment (the earlier the better), we can affect mortality positively. 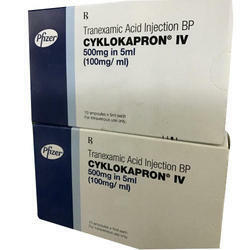 Tranexamic acid is recommended for administration AS EARLY AS POSSIBLE to the trauma patient who is bleeding or at risk of significant bleeding. Protocols for the administration of Tranexamic acid should allow for the administration of this mediaction on route to hospital. What is the effect of this medication on mortality? The Crash-2 trial (Shakur, et al. 2010) enrolled over 20 000 patients who were admitted with bleeding or thought to be at risk of bleeding, these patients were randomized to one of two groups. The first group received 1g TXA over 10 minutes followed by a 1g infusion over 8 hours. The second group received placebo at the same time regime as the TXA group (the treating practitioners were not aware if the patient received the medication or placebo). This was administered in the first 8 hours following injury. Risk of death due to bleeding was also reduced in the TXA group. Patients who received the medication within 1 hour of thier injury, then the risk due to death from bleeding was reduced even further. TXA given at 1-3 hours following injury still had an imporvement in mortality. TXA given after 3 hours did not improve mortality, but actually was associated with increased the risk of death. Tranexamic is a medication that prevents the breakdown of clots (antifibrinolytic), the important thing here is that tranexamic acid DOES NOT create clots, that process happens as it normally would, TXA only prevents the breakdown of existing clots. 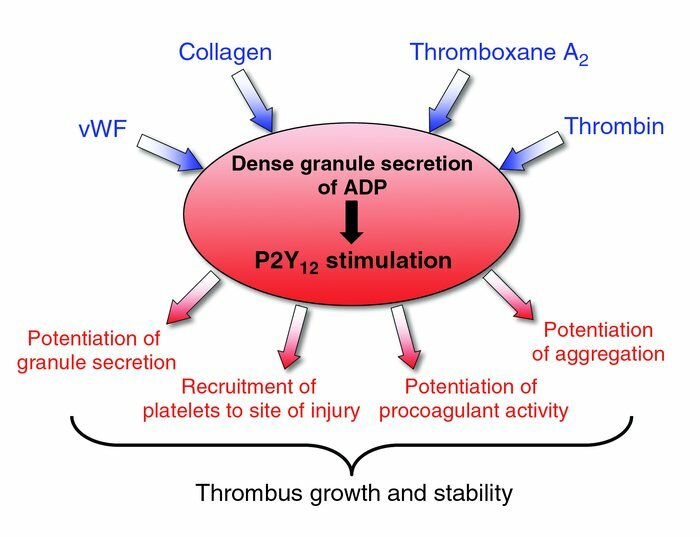 TXA works to inhibit the activation of plasminogen to plasmin, on the diagram below you will see that in order for the clot to be broken down plasminogen (inactive form) needs to be converted to plasmin, and then the process of clot fibrinolysis can occur. TXA is a competitive inhibitor (it works against) plasminogen activator, and so prevents plasmin from being formed. TXA is administered to the bleeding trauma patient via IV, this means that all of the dose is immediatly available in the blood after administration. When you are treating a bleeding patient, or a patient who you think might be bleeding enough to create a life threat, within the first 3 hours following injury. The list in red is the list of contrindications that appear on the package insert of this medciation. The list that appears in blue below that is a list of relative contraindaitons, and conditions in which the provider should think a little more carefully about the risk/benefit ratio. Pulmonary Embolism, DVT and AMI: seems to be related to higher doses (reported in 4 patients who all received high doses (3-24g) daily for a prolonged period of time) (Calapai, et al. 2015), or were medical patients who presented with other risk factors present for thromboembolic disease at the time. reccomended below) as acute/single doses increase the safety of this medication. The Hospital for Sick Children Massive Hemorrhage Protocol for the use of tranexamic acid in pediatric trauma. April 2014. Adapted from Royal College of Paediatrics and Child Health: Evidence statement – Major trauma and the use of tranexamic acid in children. Shakur H, Roberts I, Bautista R, Caballero J, Coats T, Dewan Y, El-Sayed H, Gogichaishvili T, Gupta S, Herrera J, Hunt B, Iribhogbe P, Izurieta M, Khamis H, Komolafe E, Marrero MA, Mejía-Mantilla J, Miranda J, Morales C, Olaomi O, Olldashi F, Perel P, Peto R, Ramana PV, Ravi RR, Yutthakasemsunt S. 2010. Effects of tranexamic acid on death, vascular occlusive events, and blood transfusion in trauma patients with significant hemorrhage (CRASH-2): a randomised, placebo-controlled trial. Lancet 2010, 376: 23-32. SAMF. 2014. South African Medicines Formulary. Division of Clinical Pharmacology, Faculty of Health Sciences, UCT. Health and Medical Publishing Group of SA.